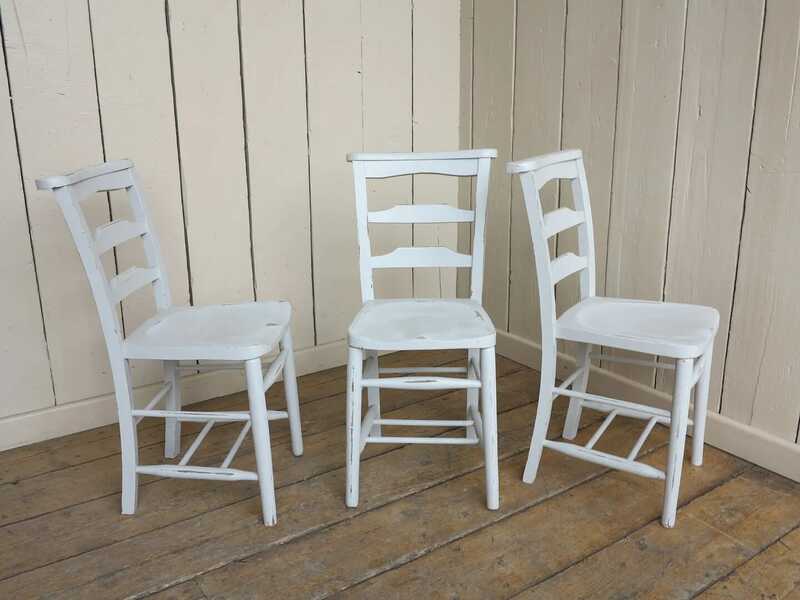 Vintage style elm & beech Church chairs circa 1920. 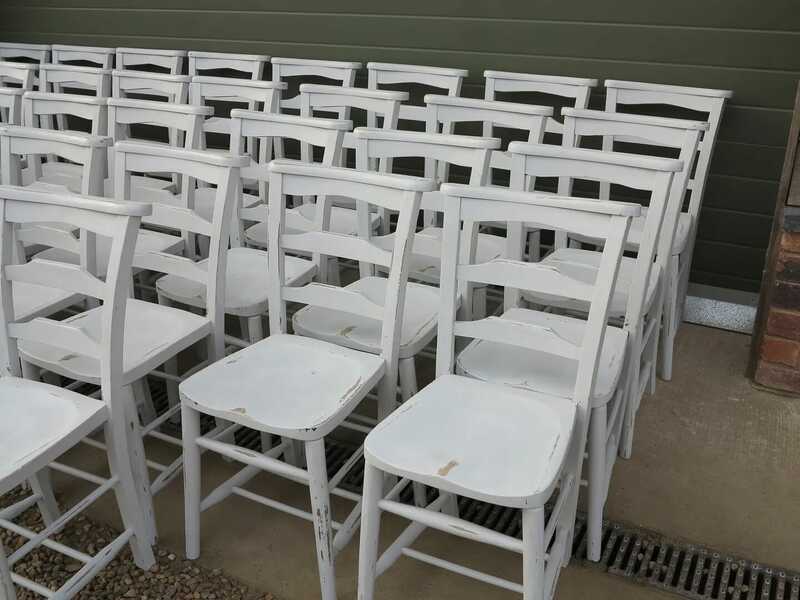 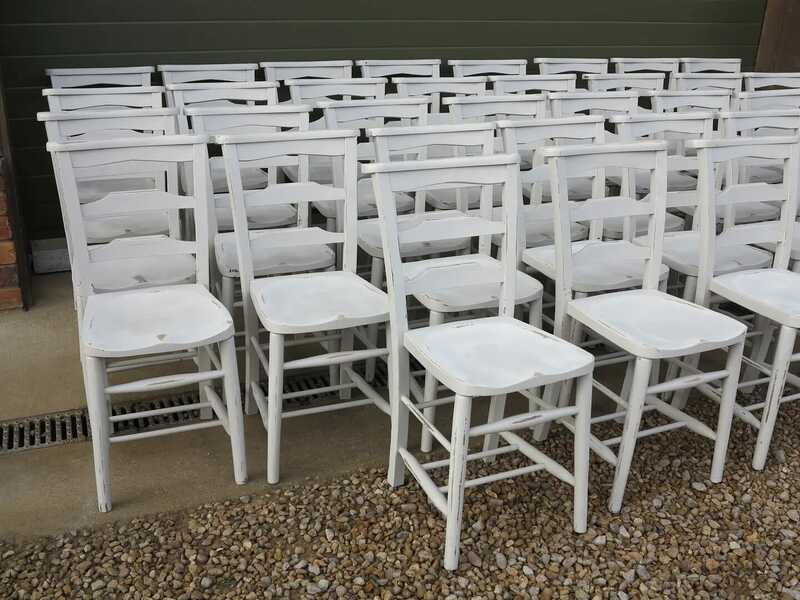 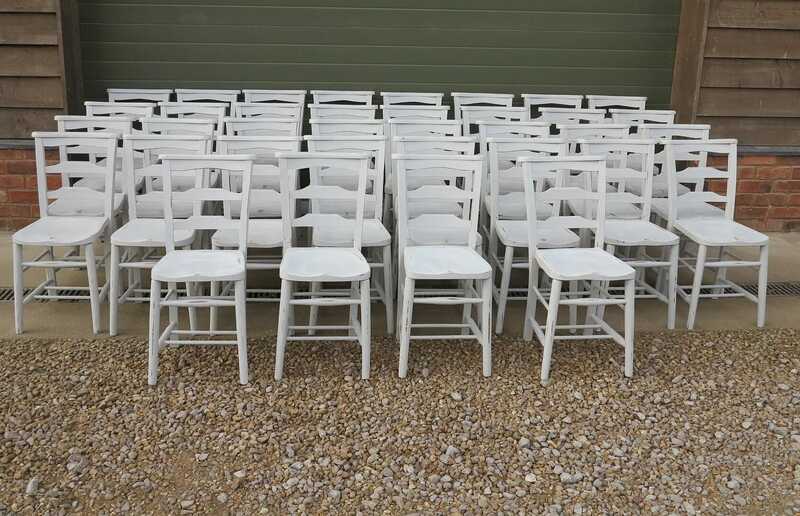 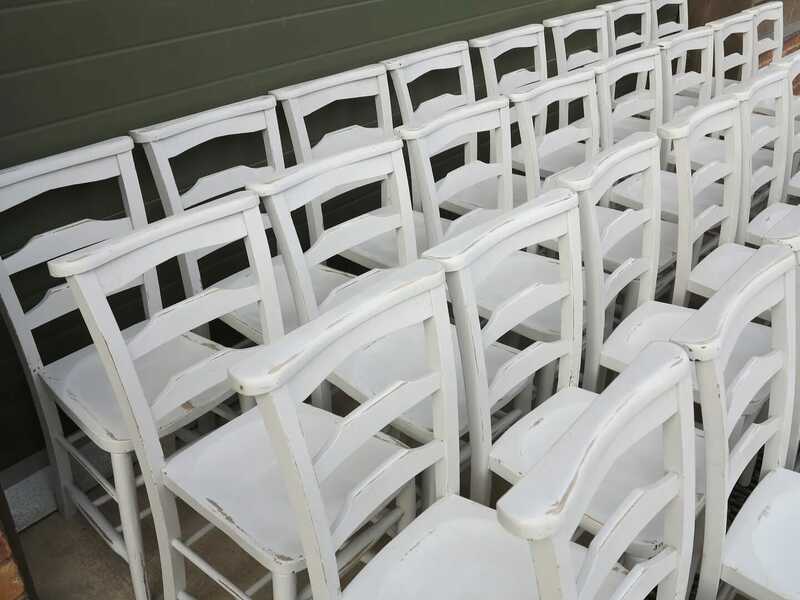 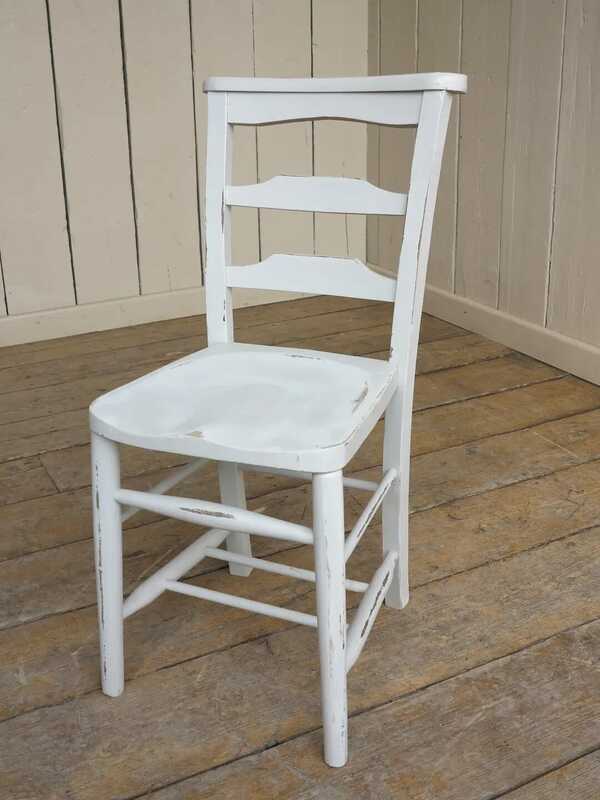 The chairs are 18" Seat Height x 31 ½" Tall x 14" Wide at the front of the seat. 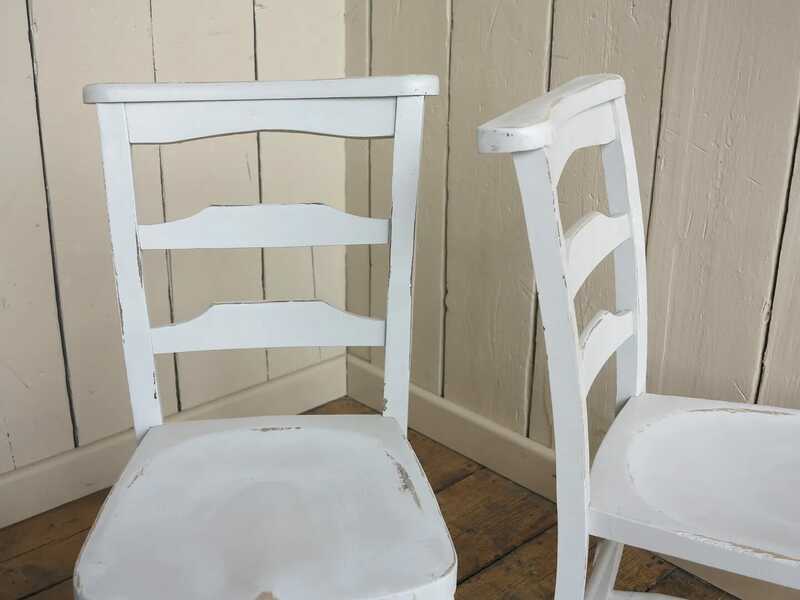 There are signs of old woodworm in some of the chairs but they have all been treated.